Beginner friendly horses! Instruction is given. 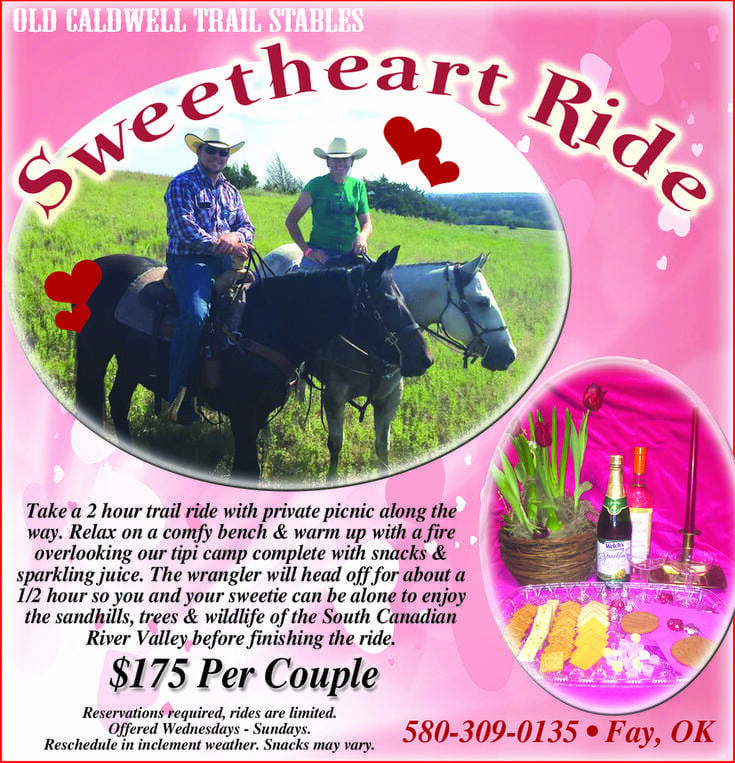 Old Caldwell Trail Stables is only 80 miles west of Oklahoma City resting in the arms of the South Canadian River Valley! Give the family a memory to last a lifetime. 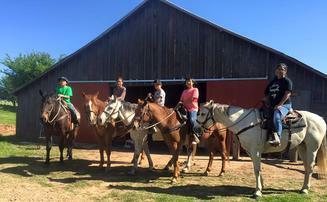 Round 'em up and move 'em out to the Old Caldwell Trail Stables in Fay, OK. Get ready to go back to a simpler time. 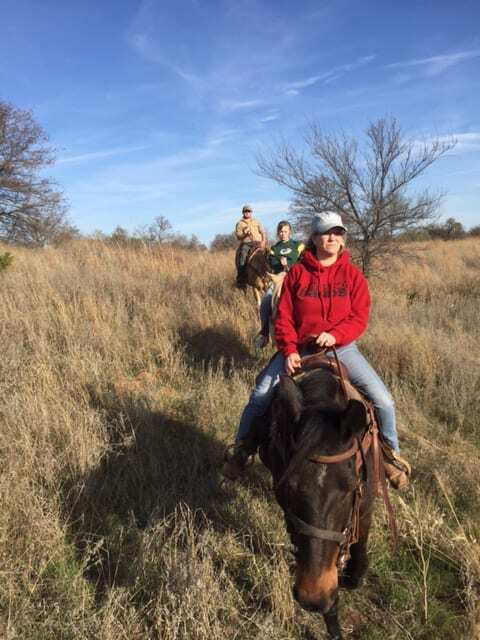 Camp out and get ready for horseback riding. 720 beautiful acres to ride on. Don't know how to ride, we give lessons. 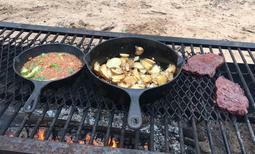 Try a campfire meal. You can even set up a pen and enjoy the ranch with your horse. 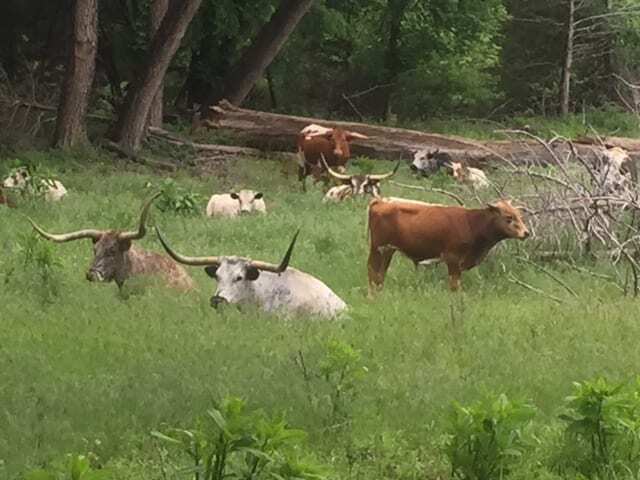 It's a working ranch and you will see the majestic longhorn cattle. We can customize packages and more for large or small groups. Family owned and operated and your satisfaction is our number one goal. The Old Caldwell Trail Stables offering happy trails to you. Outdoor areas for meeting, parties, weddings, etc. Old barn space with electricity for meetings, parties, etc. If you have an idea for your ranch stay, we are open to work with your ideas! For example, if you want to stay the night in the old barn, just ask! We might can make it happen! Great experience, beautiful trail & very impressed with the condition & temperament of all the horses! Will definitely be back! There’s a reason this review is the 60th 5 star review in a row! I called on a Saturday afternoon and was able to book nearly any time on Sunday. 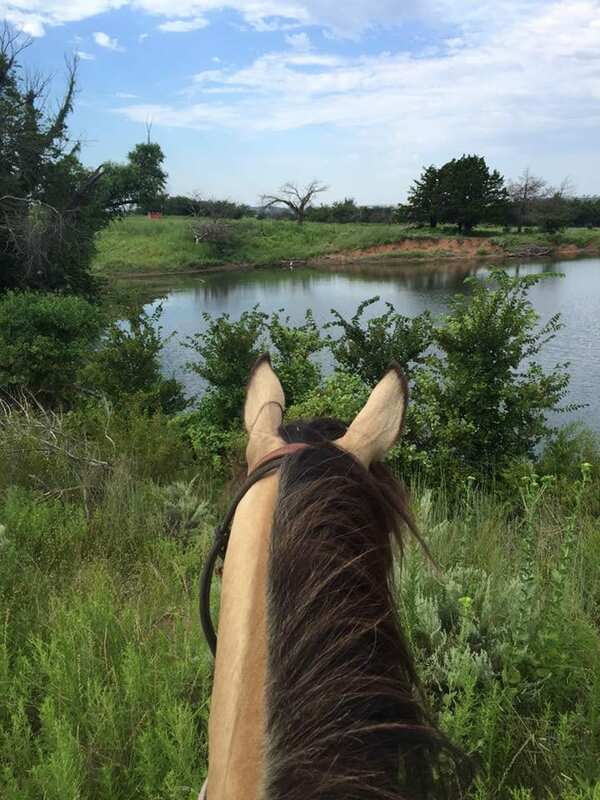 SO worth the drive from the OKC metro - the horses are incredibly well cared for, the owner is so sweet and talkative, and the landscape is gorgeous. Highly recommend and will likely visit again. I highly recommend Old Caldwell Trail Stables!!! The tour guide is wonderful, the horses are easy to ride and the scenery is just beautiful!!! It's a great place for an outing with the family or any group!